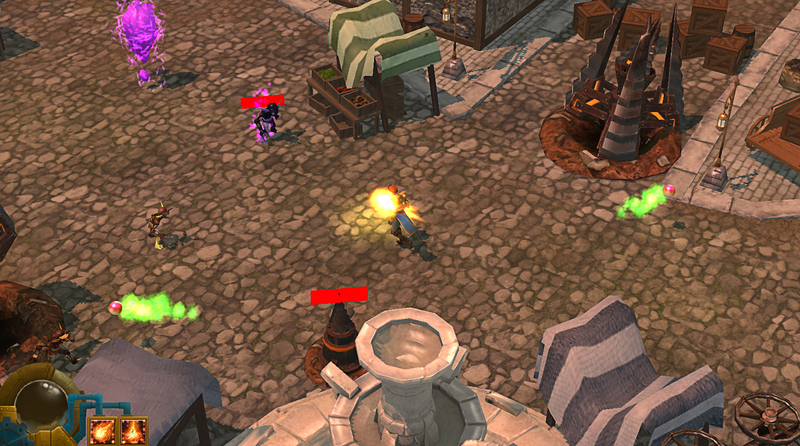 Vapor is an isometric perspective dual stick shooter set in a medieval steampunk world. 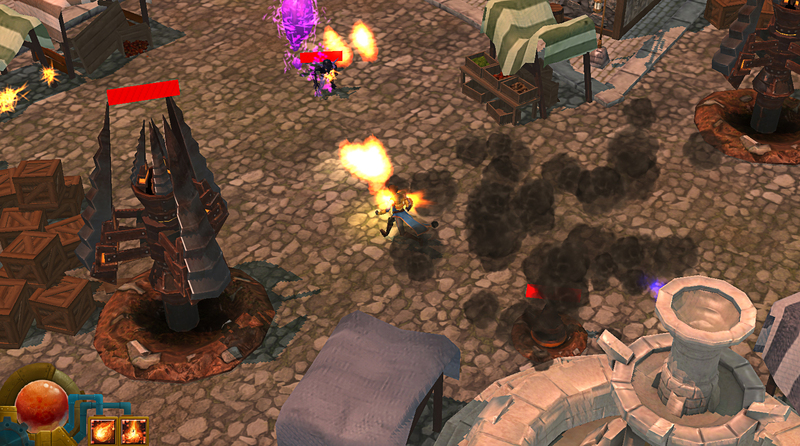 You play as Allux, a pyromancer who's abilities are powered by the magical element of Vapor. 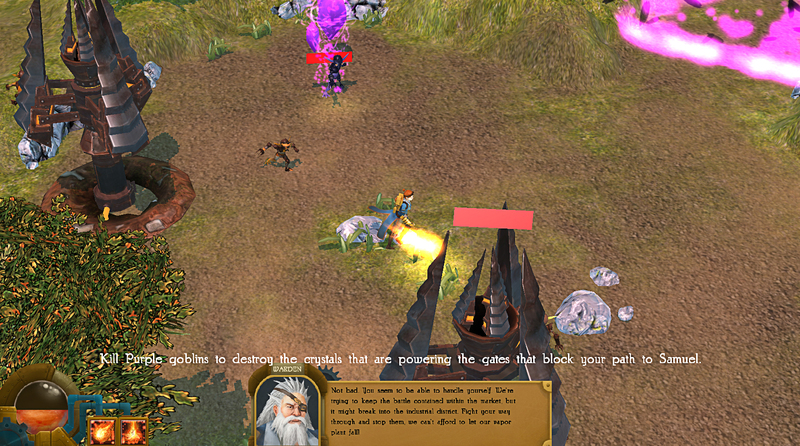 You must rescue the the fallen city of Khalayah from the evil Mechromancer and his horde of goblin machine hybrids. Allux must show she can handle herself to get into the city and must take down hordes of enemies and their contraptions within.